Anyway, it wasn't until recently that I started to really jump on the blanket scarf bandwagon. I've had a couple for a few years, but this year I've been adding them to my collection more and more and I tend to keep an eye out for them when shopping. What I love about them is their versatility and the fact that they keep you super warm and most of the time, you don't even need to spend a lot to get a cozy one either! 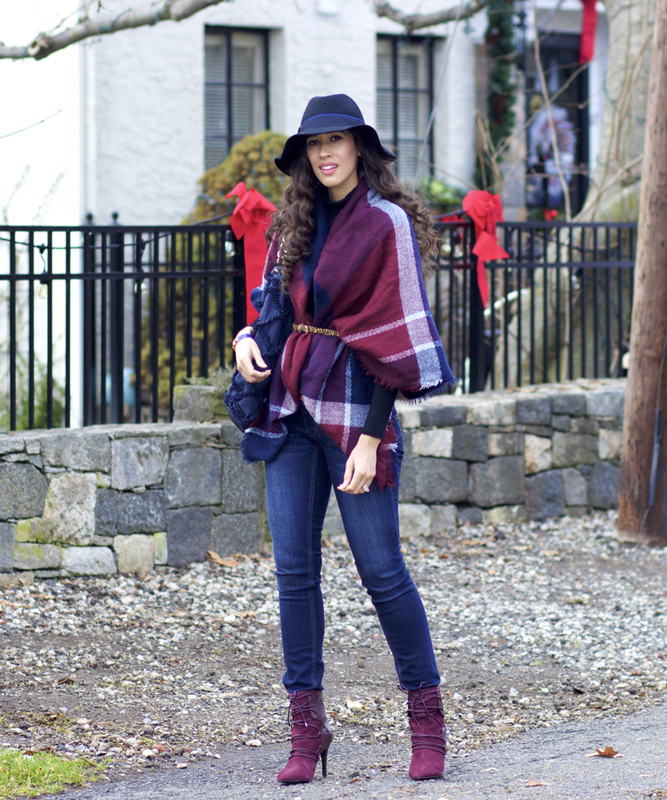 There are many ways you can wear a blanket scarf, one way I'm sharing today is as a cape or poncho. It's such a great way to add a nice statement to your outfit, since most of them come in fun prints and colors, while keeping warm. What I did was form a triangle and draped it over my shoulders and cinched it with a belt to keep it in place and to define my waistline. As you can see, I used a leopard belt, which is guaranteed to be a perfect match for any and every one of your scarves; it gives the outfit a nice, stylish finish. I also feel this is one of the most universally flattering ways to wear a blanket scarf, as it doesn't make the entire upper body appear bulky or over power ones body or frame, especially when a belt is added! 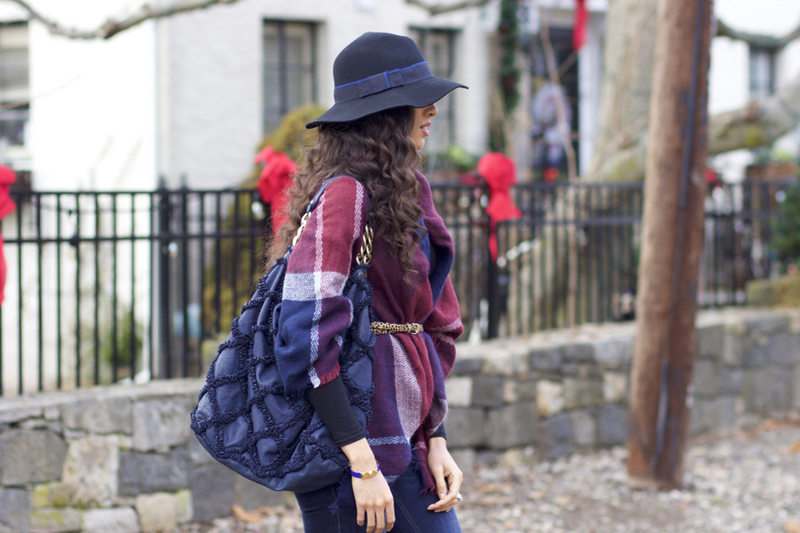 Do YOU have a fancy or creative way for wearing your scarves!? Who knew there are so many different ways to wear them; have you seen this video by Wendy's Lookbook!? She shares such awesome, practical and stylish was you can wear them and the editing is amazing, definitely watch! Thanks so much for stopping by,my dear friends, and I hope you have the best start to your week!